These were the two final logos I designed for ARC Express. The main logo would replace the Aztec Recreation Center, and the express logos would be used for the new smaller "express" gym. While being a student at San Diego State University, I had the opportunity to work on school specific projects that were sought out by personnel of SDSU. 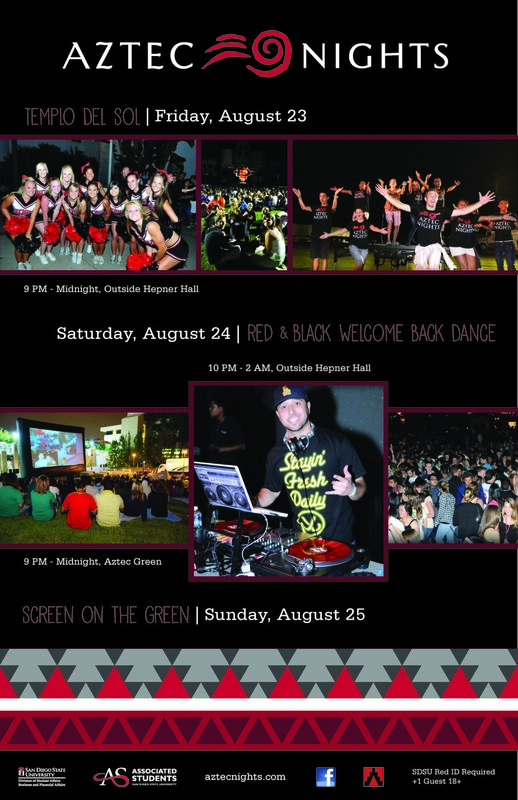 Every semester San Diego State holds many social weekend events commonly know as Aztec Nights. 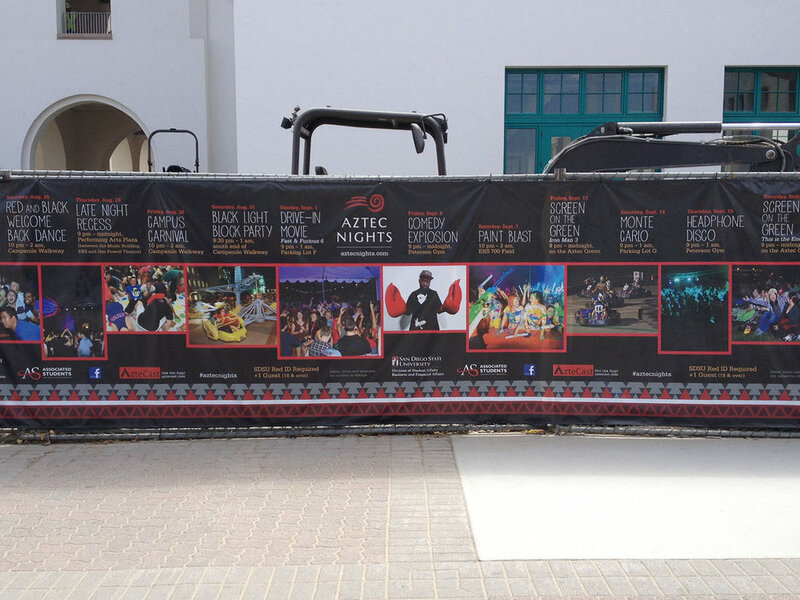 Because the design functions as a template, different pictures and text can be interchanged by the SDSU in-house designer. Another project I had the chance to work on was the creation of the ARC Express logo. SDSU wanted a redesigned logo to replace the Aztec Recreation Center logo, but also call the new smaller gym they were building ARC Express. The objective was to develop two conceptual logos that would create a fresh and modern look compared to the old logo, as well as appeal to the students. Creating a brand for the logos was explored with patterns and advertisements, and applications of the logo with these additions were presented to the clients.